After that bit of surprise then I get the whole what do you do there? Does everyone smoke pot? No (I won’t be writing about pot-sorry peeps!) In fact, I remember during my growing up years that we always were a bit frustrated with the Cowtown identity that was so hard to shake off. We have a diverse population that is growing all the time and an amazing spirit of innovation and a can do attitude. There are a ton of amazing products that can trace their beginnings to Colorado-ever heard of the Denver Boot? We are competitive, but enjoy our lives. In regular conversations you will hear about what races people are training for, the places they’ve traveled to, or the friendly bickering that happens during every sports season. Colorado does have problems though, and I will talk about them in this blog, these are issues that I feel we could be dealing with better. The traffic on the highways is terrible right now as we are in a longterm expansion project. As much as we love Colorado I’ve noticed that we have a serious lack of blogs with a general Colorado focus. There are a lot of food focused blogs, fitness, but not general lifestyle so I hope I can help shed some light on what we are all about. Welcome To Colorado Luv Hub! 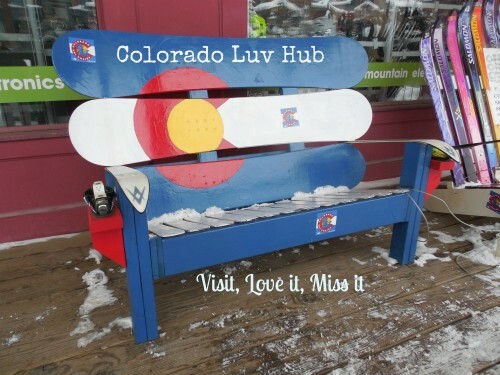 I do have some other favorite parts of the U.S. feel free to email me at: coloradoluvhub@gmail.com to find out! Disclaimer: Please note that all opinions are my own!